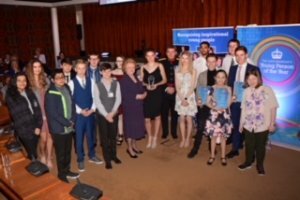 Bravehearts, volunteers, athletes and artists received coveted accolades in front of friends and family at the Lord Lieutenant's awards held at County Hall. On your Marks, Get Set, Go for the 5th Joe's Jog! 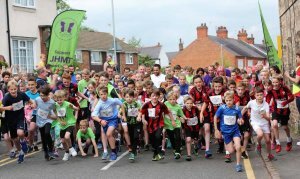 Joe's Jog, now in its fifth year, will take place before the Mattioli Woods Rothley 10k running event which takes place in the Leicestershire village on Tuesday 12 June. 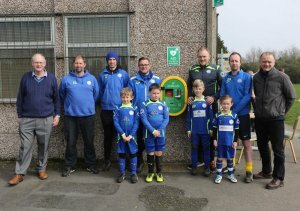 Croft Juniors FC, which has 200 members aged from four to 15, has installed an automated external defibrillator (AED) on the wall of its pavilion at the Winston Avenue sports ground, in Croft. 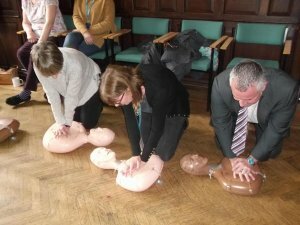 Free training in cardio-pulmonary resuscitation (CPR) and how to use a defibrillator has been offered to council staff, 'friends of' parks groups and members of the public in a drive to make Leicester's open spaces 'heart friendly'. 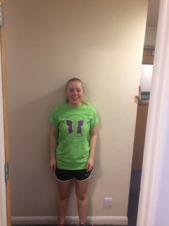 Alice Humphries, a former pupil at Hind Leys Community College, is currently studying at Brighton University, and is training for the Brighton Marathon on 15th April. 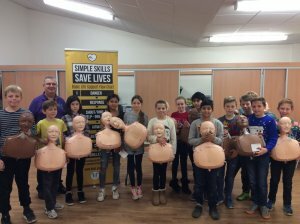 Woodstock Primary Academy, in Stocking Farm, has also been highlighting ways in which younger children can raise the alarm to help in the event of a cardiac emergency. 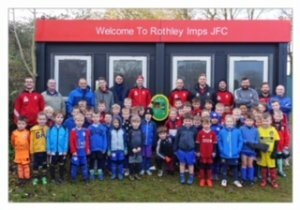 Rothley Imps Juniors FC, based at Fowke Street Recreational Park in the village, has been working closely on the project with the Joe Humphries Memorial Trust (JHMT). 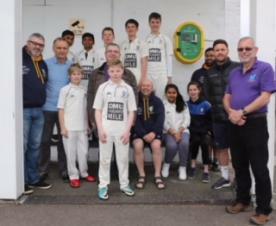 LRCL Premier League is the first in the country to make it a league requirement for all premier clubs to sign up to the Leicestershire & Rutland Heart Awareness in Cricket (HAC) scheme. 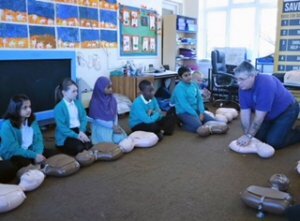 Year 6 children (aged 10-11) at Rothley C of E Primary Academy welcomed Alan Harrison-White, from heart charity the Joe Humphries Memorial Trust (JHMT), who came in to teach them more about how to react in an emergency situation. 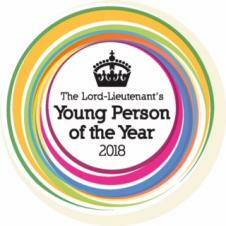 Sixteen-year-old Jess O'Brien has turned her talents to the subject to help the work of the Joe Humphries Memorial Trust (JHMT), a local charity that works to promote awareness and greater understanding of sudden heart deaths in young people. 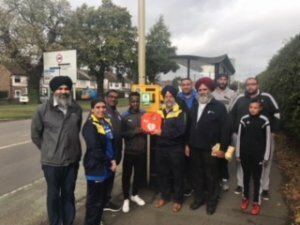 A NEW public-access defibrillator has been installed close to the training ground of two Leicester football clubs. 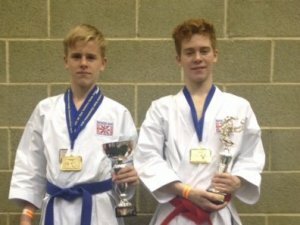 And their journey has been aided by Inspire Awards totalling £600 provided by local charity the Joe Humphries Memorial Trust (JHMT). 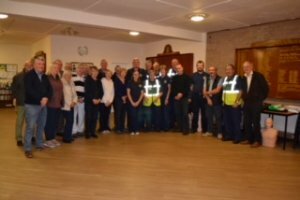 Shepshed Bowls Club has raised the money for the vital life-saving equipment to be installed on the wall of its clubhouse, in Charnwood Road. 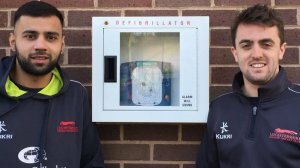 More than 100 students, staff and members of the local community have been trained to save lives thanks to De Montfort Students' Union (DSU)'s unique partnership with a Leicestershire charity. 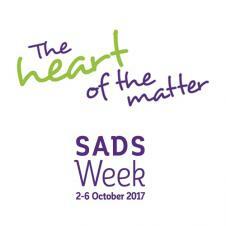 SADS Awareness Week will take place from 2-6 October 2017. 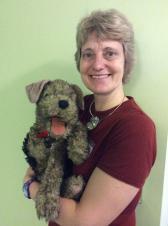 The story of Ruffle the Life Saver is the latest in the adventures of Ruffle the Rail Dog, a series of books written and illustrated by local author Rachel Greaves. 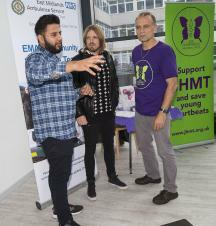 For the latest in news and events from JHMT, please see our social media below.